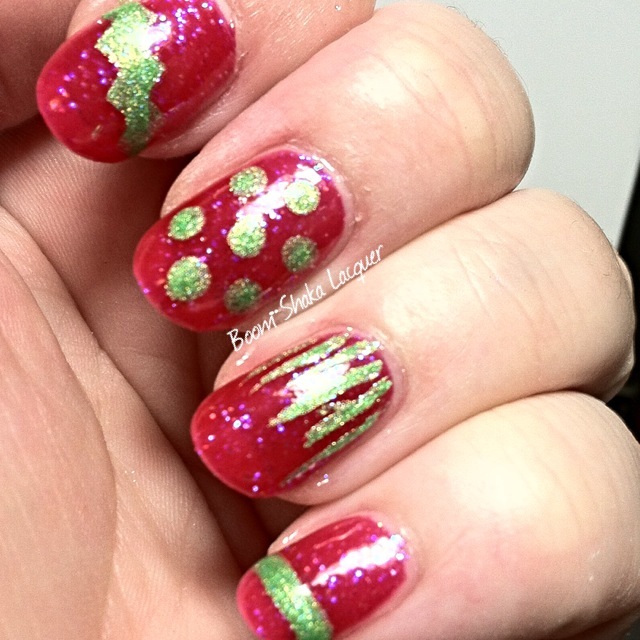 On my forefingers I used some YouPolish nail vinyls to create a “lightning bolt” with the lime green. I reviewed YouPolish nail vinyls right here! 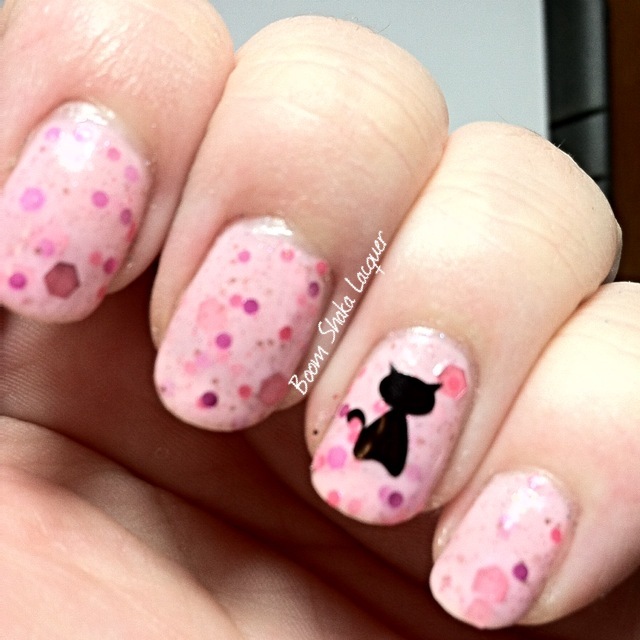 I used a simple dotting tool to create the dots on my middle fingers. 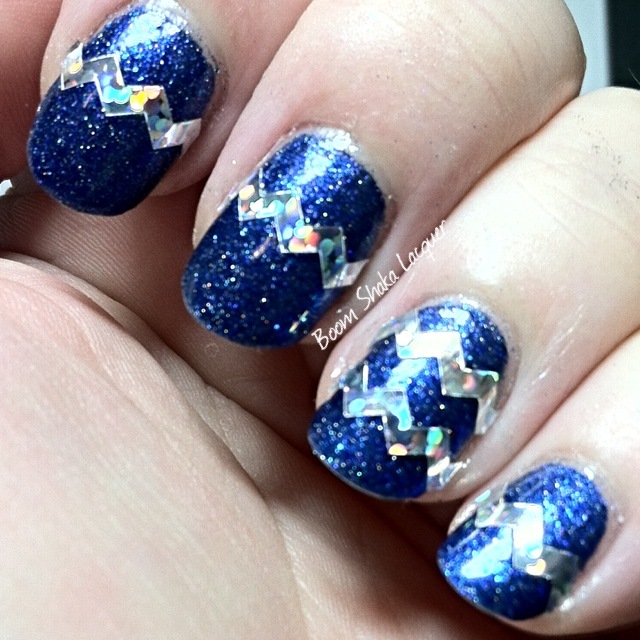 On my ring fingers I did a “waterfall” design (Made popular by the AMAZING Nailasaurus – seriously ya’ll if you don’t follow her you SHOULD) using a striper brush. I actually bought a brush set off Amazon and it wasn’t expensive but I did find I needed to cut off about half the bristles for it to be thin enough for the things I wanted to use it for. On my pinkies I just did a simple stripe across the tip with the same striper. 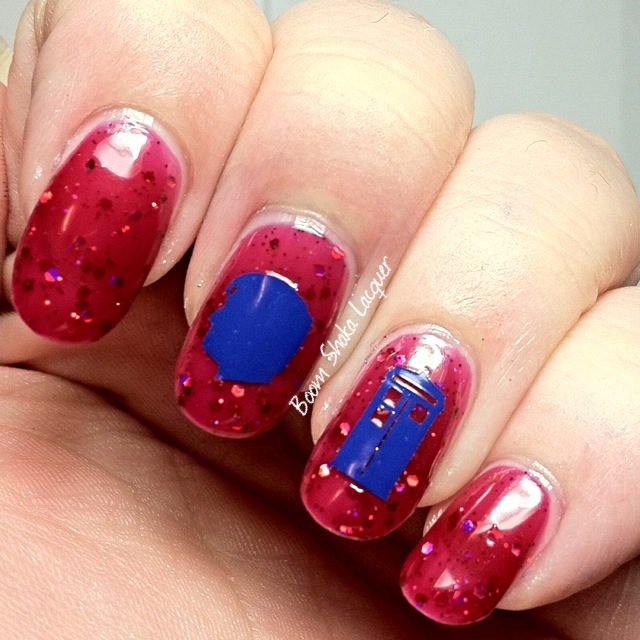 That’s it – it was not hard at all and I have loved wearing this mani! 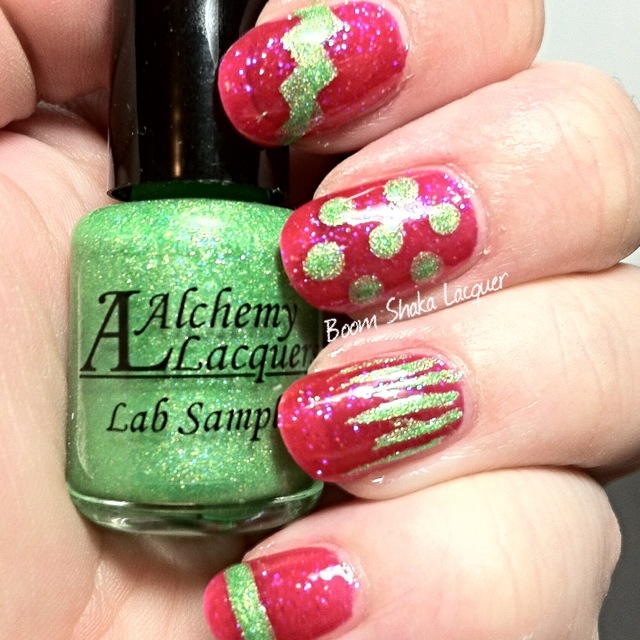 This entry was posted on June 11, 2014, in Alchemy Lacquers, Indie Polish, Nail Art, Wednesdays We Wear Pink, YouPolish. Ok Readers, I know that like me some of you struggle with nail art. I’m getting better but I still have way more fails than I have wins! Well today I’m going to show you how to get awesome nail art without a lot of fancy skills! YouPolish has made it easy for us newbs! 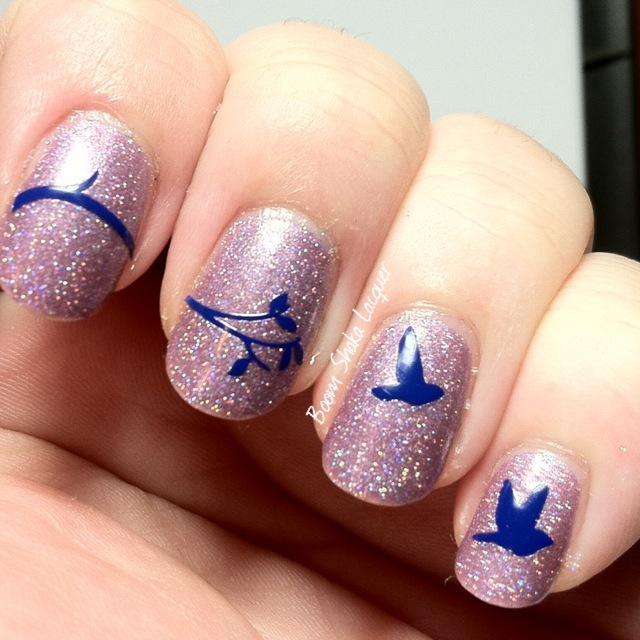 I’m talking about Vinyl Nail Decals naturally!!! As you can see they come in a wide variety of colors, shapes, and designs. 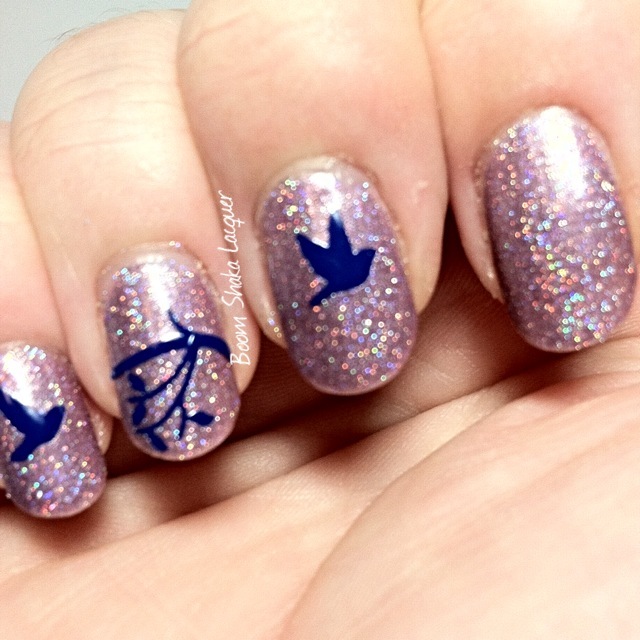 Before I spam you with some cute nail art looks I’ll tell you about how I feel about them! I LOVE THEM. That is all. Ok no really they are awesomesauce. They are super easy to apply, the designs and colors are great and even the the newest nail polisher can get some super cute nail art without having to try too hard! I recommend using a pair of needle nose tweezers to apply so you don’t touch the adhesive which could inhibit the decals from sticking firmly to your nails. You don’t NEED to add topcoat if you don’t want to but I would recommend it in order to keep them on longer! Now onto the spam! This last one is my favorite and I actually show BOTH of my hands. It’s a Festivus Miracle…wait…wrong time of year right? So anyway this one I got a little creative with so that you could see that there are also a lot of possibilities outside of just peeling and sticking them on your nails! 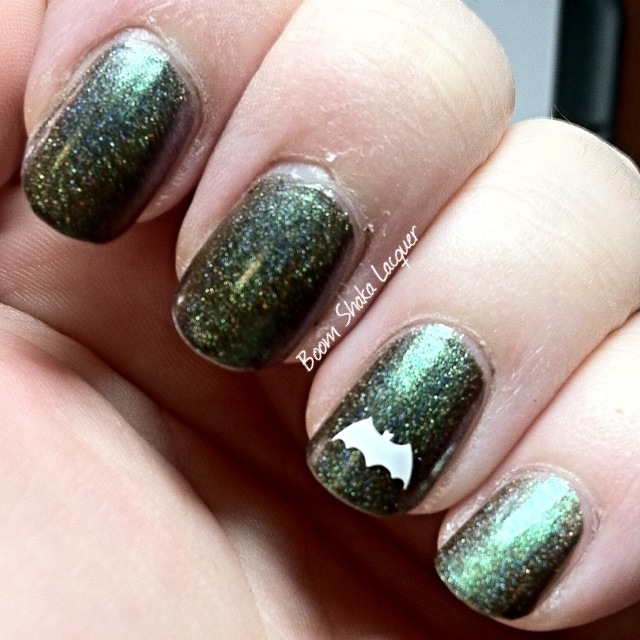 I mean I was totally in love with this mani! It’s so elegant and feminine! It also is the exact same three decals, I just cut them and placed them differently! The possiblities are really excellent and I can’t wait to play around with more! So it’s a little outside my normal style of posting but I really wanted you to see some things that could be done easily and quickly with these wonderful nail decals. 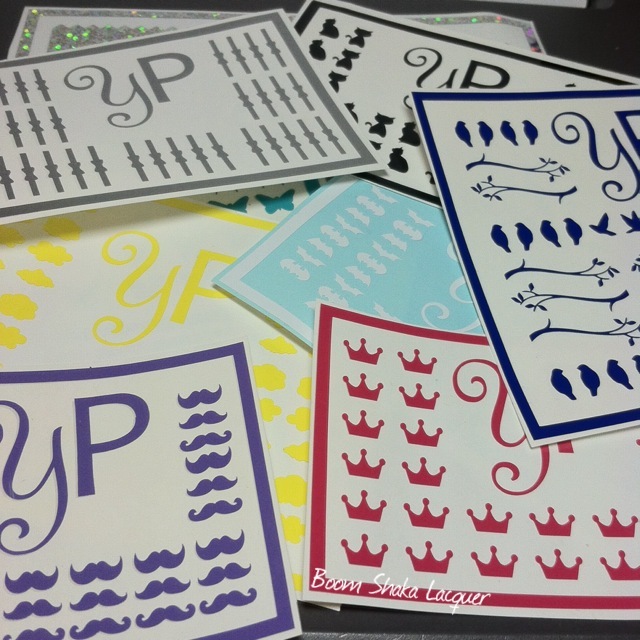 You can get your own vinyl nail decals at YouPolish’s Site. You can also keep up to date on all the happenings and new designs and also find out about YouPolish’s Subscription box on Facebook and Twitter! 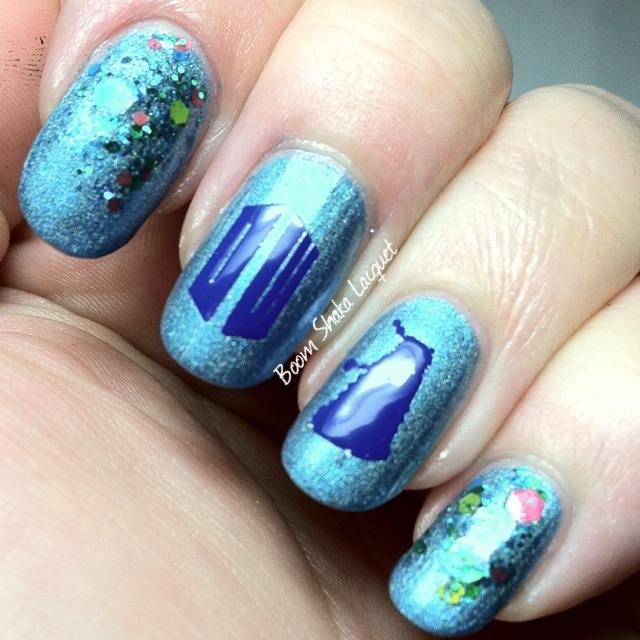 This entry was posted on June 7, 2014, in Indie Polish, Nail Art, YouPolish.